Would you like to pay off your car loan early? Most people actually would love to pay off their car loan early and if you are like them, you stand to gain significant by paying off your loan early. Of course, early car loan repayment may not always be advantageous so weigh your options carefully. There are advantages and disadvantages of paying your car loan ahead of time that you need to consider in order to ensure you don’t loose money in the end. The main benefit of repaying your car loan early is that you stand to gain huge savings on your monthly interest. If you are in a bit of a sticky financial situation or you are on a tight budget, paying your car loan early can be a effective way to improve your monthly cash flow. Moreover, making early car loan repayments can significantly improve your credit standing and scores, which will be beneficial when applying for loans in future. One of the main disadvantages of paying your car loan early is that it can sometimes be costly for you. Some lenders add a pre-payment penalty clause in the car loan terms that may work against your desire to offset your car loan early. 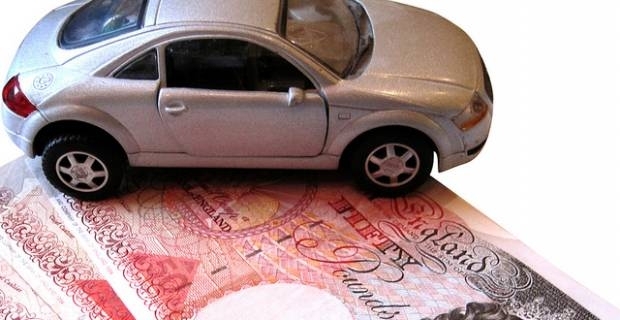 It is, therefore, important that you analyse your car loan terms in detail and also scrutinise any pre-payment penalty clauses that may exist. This will help you make informed decisions going forward. If you decide to go ahead and pay off your car loan early, creating a loan amortisation spreadsheet table and writing a check for extra loan payment amounts are tips that can help make your early car loan repayment process much more smoother and convenient. Create a loan amortisation spreadsheet table using a computer program like Microsoft Word Excel. Enter your latest car loan information, details of which can be found in your loan repayment monthly statements. Analyse the loan amortisation spreadsheet table to get a clear picture of how much you will need to add to your monthly repayments in order to clear your loan payments sooner. Doing this will help to focus your efforts. Generally, there are three ways you can pay off your car loan early. Firstly, you can increase the monthly loan repayment rate that is stipulated in your car loan repayment terms. Secondly, you can make extra car loan payments on top of your regular loan repayment amounts; and thirdly, you can contact your lender and request a pay-off amount, which you can then pay a cash lump sum to offset. Decide upon the most convenient early car loan repayment method for you and contact your lender to inform them of your decision. If the lender allows you to offset your car loan early, write a check for the extra payment to enjoy the benefits of early car loan repayments.